As human rights groups express shock and dismay over Sudan’s recent appointment of a Janjaweed militia coordinator responsible for atrocities in Darfur to a top government post, Turkey is busy courting the head of state in charge of Sudan’s continuing policy of genocide. 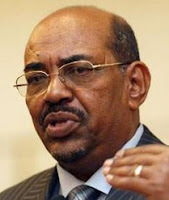 Omar al-Bashir, President of Sudan, has made it openly clear that he values his relationship with Turkey and seeks to follow in that country’s footsteps. “Our ties with Turkey are long-established and gained momentum in recent years. We want to benefit from Turkey’s experiences,” the Sudanese president told reporters during a press conference in Ankara earlier this week. Do we need any more stark and frightening proof that, by setting the precedent that genocide can be committed with impunity, giving in to the Turkish denial machine makes the world a more dangerous place? Turkish Prime Minister Erdogan had deferred from comment on the U.S. Presidential elections last week, stating that the decision rightly belonged to the American people. All that changed this morning, with Erdogan – in an apparent moment of undiplomatic candor – calling Democratic Presidential hopeful Barak Obama a “political dilettante” for his support for Congressional passage of Armenian Genocide legislation. 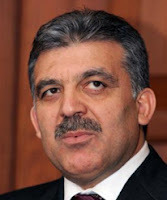 “The relations between Turkey and US will not be sacrificed to bad campaigns of lobbies. He has got political dilettante problem for this candidacy. We advice him to solve this problem,” stated Erdogan, according to the Azeri APA news service. Additional campaign statements are expected in the upcoming days, according to the ANCA, which recently provided an overview of the records of the major Presidential candidates on Armenian American issues. Omar al-Bashir, the President of Sudan, will be taking a special trip to Turkey this month as an official guest of Turkish President Abdullah Gul. He is expected to arrive in Ankara on January 21.As the leaders of two notoriously genocidal states, it should come as no surprise that Turkey and Sudan are forging ever closer ties. Indeed, we have seen Turkish officials repeatedly refer to Sudan as “our partner in Africa” and seek to promote greater trade links with the Khartoum government. We can safely assume that one of the reasons for their upcoming meeting is to trade notes on how each party can mutually accelerate such disgraceful denialist claims. The renowned screenwriter Jose Rivera, best known for his work in The Motorcycle Diaries, is set to work on the cinematic production of Micheline Marcom’s book Three Apples Fell From Heaven, a novel based on the Armenian Genocide.After being introduced to the book by his wife, Sona Tatoyan, Rivera fell in love with it and was reported to have recently optioned the rights to the story. The most gagged woman in America seems to be tired of waiting for figures in the government and media to take on her case. 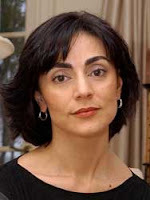 Former FBI translator, Sibel Edmonds, is herself beginning to gradually reveal more of the details behind her long-suggested knowledge of corruption and treason involving Turkish representatives and US officials.This past Sunday, the UK’s Sunday Times ran a piece outlining her claim that a senior State Department official was passing nuclear secrets to Turkey in exchange for money and other kickbacks. Turkey was then covertly selling these secrets to buyers in the international black market. It’s high time Ms. Edmonds be allowed to speak openly and have her claims be thoroughly investigated. It’s high time that Turkey’s obstructions against US interests, whether on recognition of the Armenian Genocide or passing nuclear secrets to rogue elements, be exposed for what they are and be put to an immediate end. On December 20, 2007, 17 year-old Nataline Sarkisyan of Northridge passed away after twice being denied a liver transplant by her insurer, Cigna Health Corporation. In the face of a mass protest in front of Cigna offices in Los Angeles, the company finally agreed to cover her transplant–but it was too late. Her tragic loss has served as a cornerstone in the debate over the troubled state of health care in the United States. It has become a part of the discourse in the presidential campaign, with John Edwards telling the story of Nataline and her family in order to illustrate the pressing need to take on the problems posed by the health insurance industry. Nataline was an active member of the Armenian Youth Federation and a bright young student who was full of life. She will be truly missed by friends, family, and the community alike.